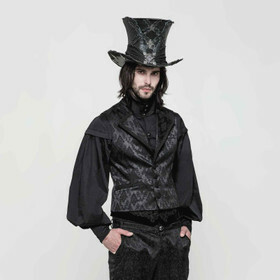 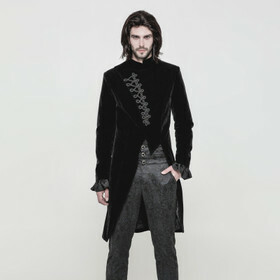 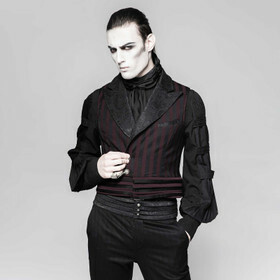 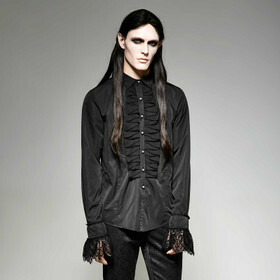 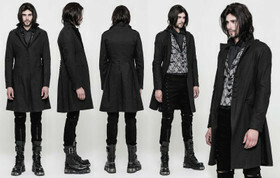 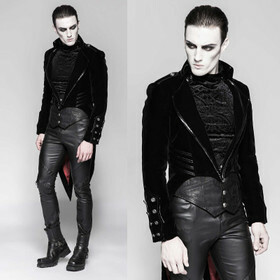 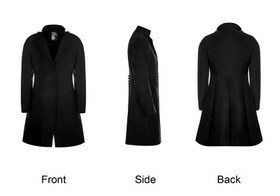 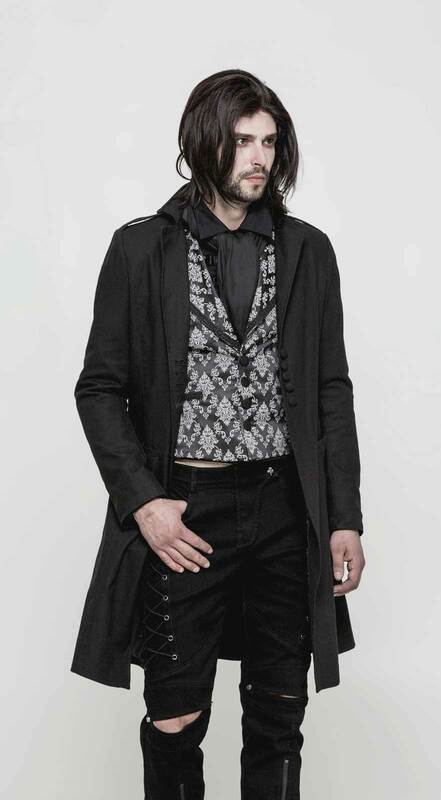 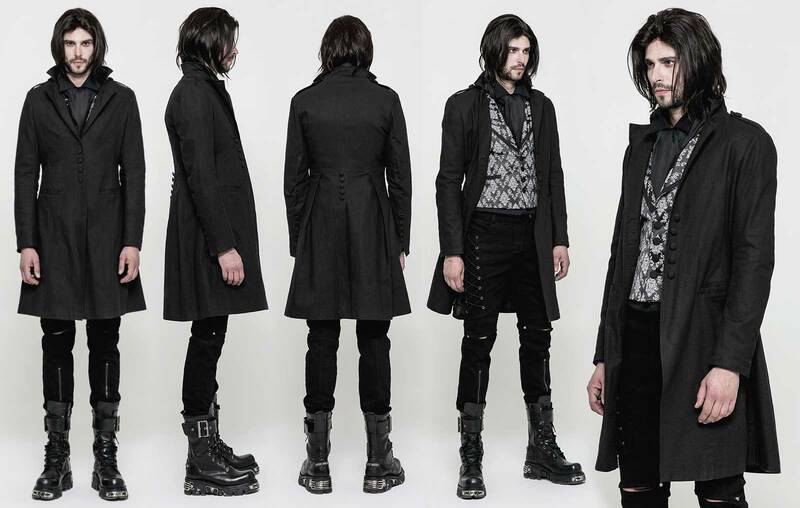 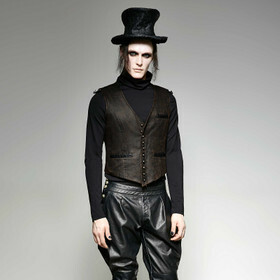 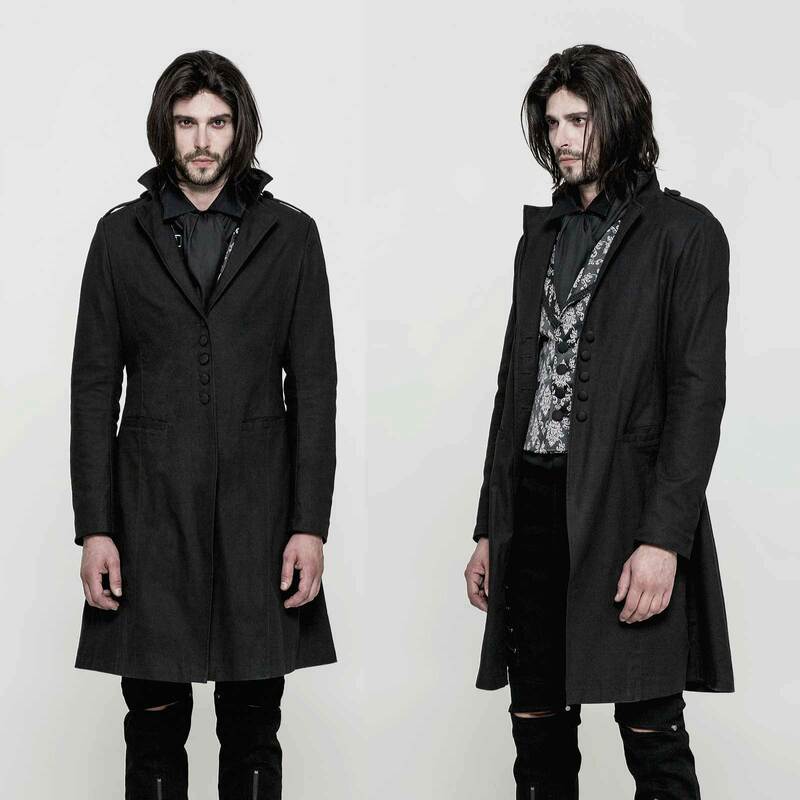 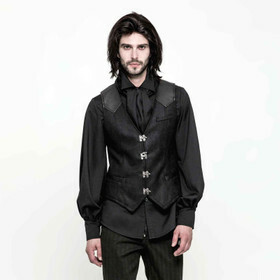 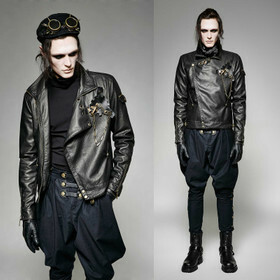 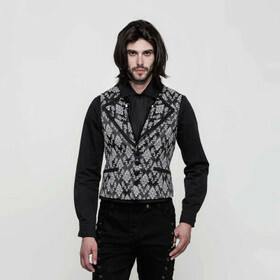 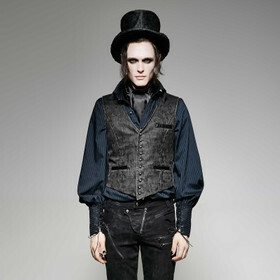 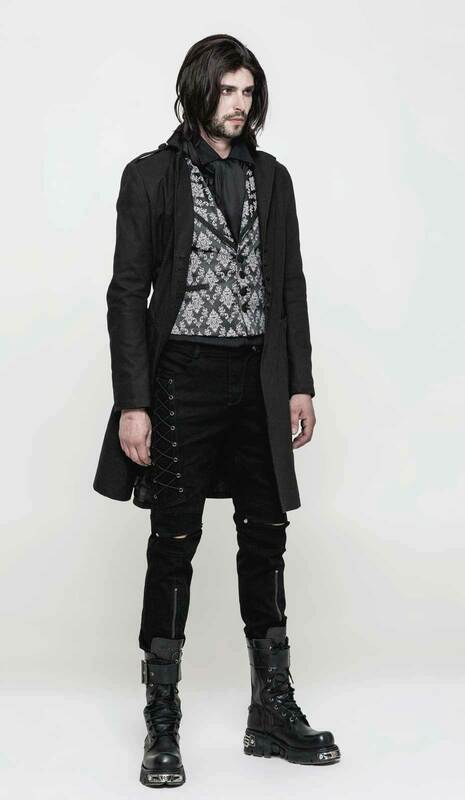 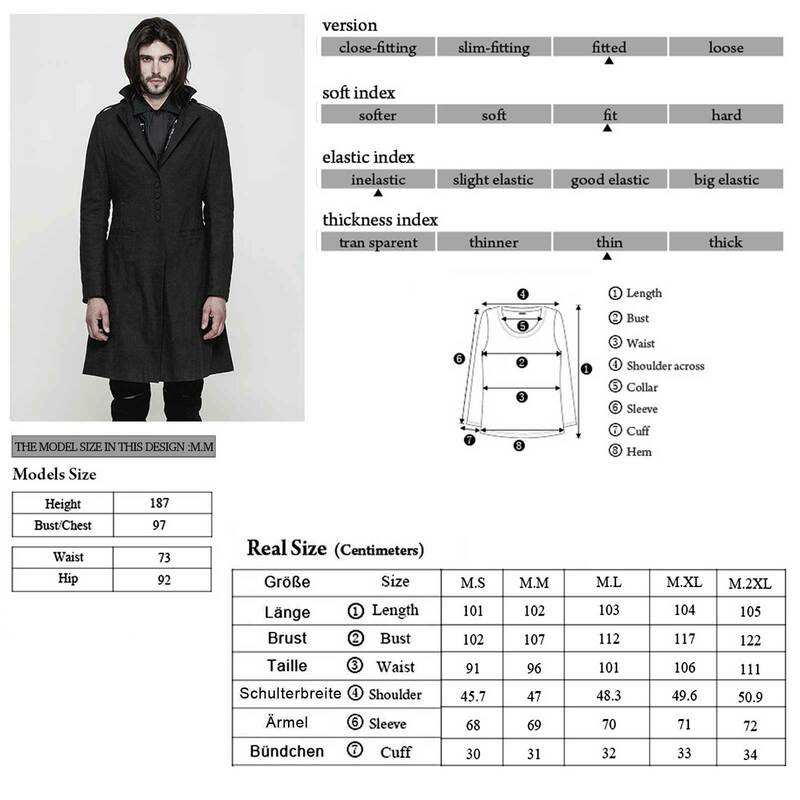 Classic short men's overcoat in victorian/Grunderzeit style by Punk Rave. 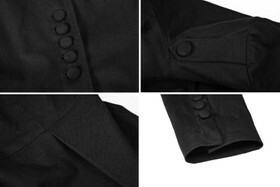 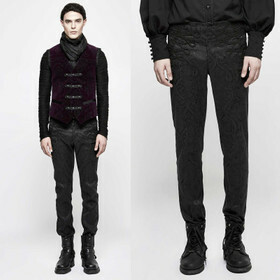 Deep black cotton fabric. Lapel collar, single-breasted with five cloth-covered buttons. 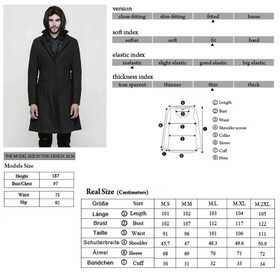 Classic short men's overcoat in victorian/Grunderzeit style by Punk Rave. 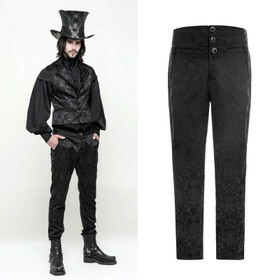 Deep black cotton fabric, black taffeta lining with subtle paisley pattern. 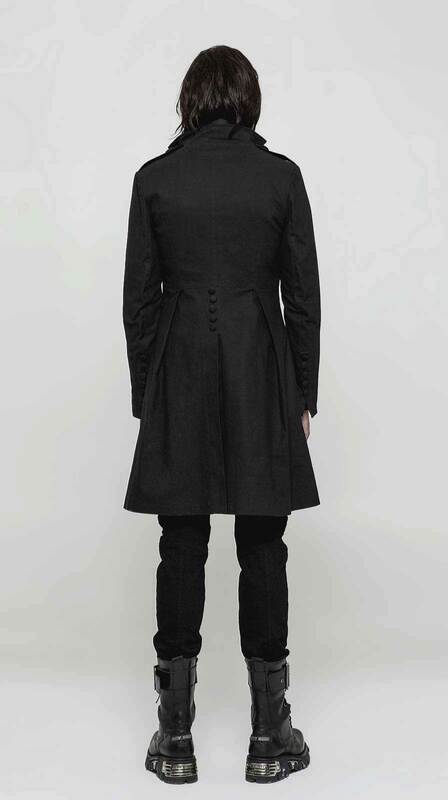 Typical lapel collar, single-breasted with five cloth-covered buttons, epaulets, and two side pockets. 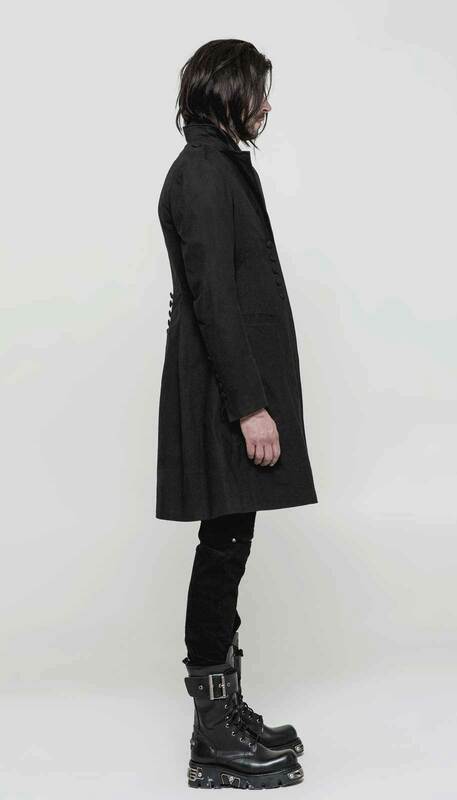 Slightly waisted cut with straight hem. Back slit and two creases and deco buttons. 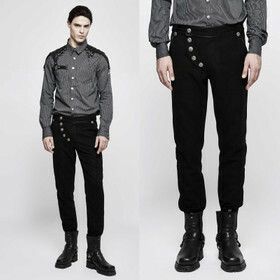 Buttoned cuffs.